A new film released today by Grampian Moorland Group, in conjunction with Pace Productions UK, is sure to be of interest to members and non members alike. 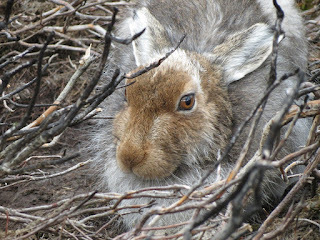 The short film, The Untold Story: Mountain Hares speaks to those at the front line of mountain hare conservation and management in Scotland. It explores why mountain hares thrive on moorland with gamekeepers but also explains why their populations require management in order to restore fragile habitats.